The Dark Monk is the second book in Hangman’s Daughter, the million-copy bestselling series. Delivering on the promise of the international bestseller The Hangman’s Daughter, Oliver Pötzsch takes us on a whirlwind tour through the occult hiding places of Bavaria’s ancient monasteries. 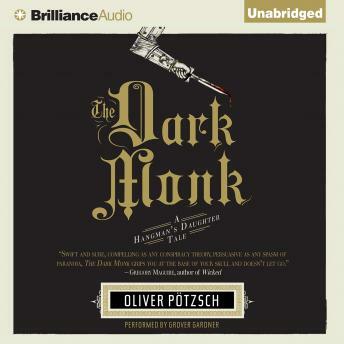 Once again based on prodigious historical research into Pötzsch’s family tree, The Dark Monk brings to life an unforgettable, compassionate hangman and his tenacious daughter, painting a robust tableau of seventeenth-century Bavaria and quickening our pulses with a gripping, mesmerizing mystery. I loved it. This book helped me drive 800+ miles. It had just the right amount of action and intrigue to keep your mind alert and active.